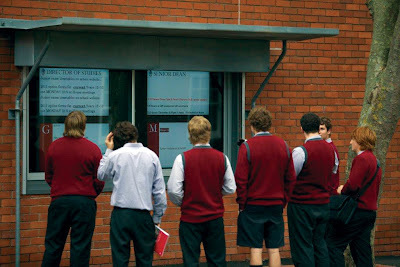 Scots College is an independent day and boarding school for boys Years 1-13, in Wellington New Zealand. As an IB World School, Scots encourages students to excel in areas of academia, sport, culture, service and spirituality by providing a world-class education environment. In 2010, the Board of Scots College embarked on an ambitious campus development programme, which will see the college grow to a roll of more than 900 by 2014. As part of the school-wide development, Scots introduced and implemented several information and communication technologies, including digital signage to display relevant and up-to-date information to staff and students. All digital signage needed to successfully integrate with Scots existing network, display various types of content and most importantly be easy to use. Scots requirements included indoor foyer signage to display student work and achievements, RSS feeds and notices to staff, students and school guests; as well as outdoor signage to display house notices and promote school events to students. ONELAN's Net-Top-Boxes (NTB's) were chosen as the digital signage solution, due to their ease of use, content options, instant messaging and scheduling capabilities. Scots College have installed six ONELAN NTB 610s, and six Mitsubishi 42” LCD Displays for viewing the content. Each screen has it’s own NTB unit enabling each screen to show unique content. A wide range of content is displayed, including photographs of events and activities at the school, student work, upcoming events and timetables, PowerPoint presentations, and news reels. In addition students and staff in each house have access to their own layout so they can update messages and regular points tables on their own outdoor screen. Mark Embleton, ICT Systems Administrator, Scots College.